As the warmer seasons get into full swing, you may be struck with the desire to sip your morning coffee on a deck overlooking your view or gardens. Building a deck is a great way to increase your home’s living space. Maybe you want to start cooking and entertaining out-of-doors, or create a Zen-like retreat with quiet, shaded places to sit and read a good book to the backdrop of birdsong. No matter the reason, if you are ready to increase your outdoor living space with a beautiful new deck, there are several important considerations to bear in mind as you plan and design. How much space do you need and what permits are required? Do you want to add a hot tub or cooking station? What about size and material, railing and style options? 1. What kind of deck project is it? If you’re building a new deck from the ground up the process is more straightforward. But maybe you have an old framework or ledger remaining from a previous deck. Sometimes there is a strong framework in place, and only the top boards need replacing or resurfacing. It’s a good idea to begin by checking the existing framework for architectural before you commit to the build. 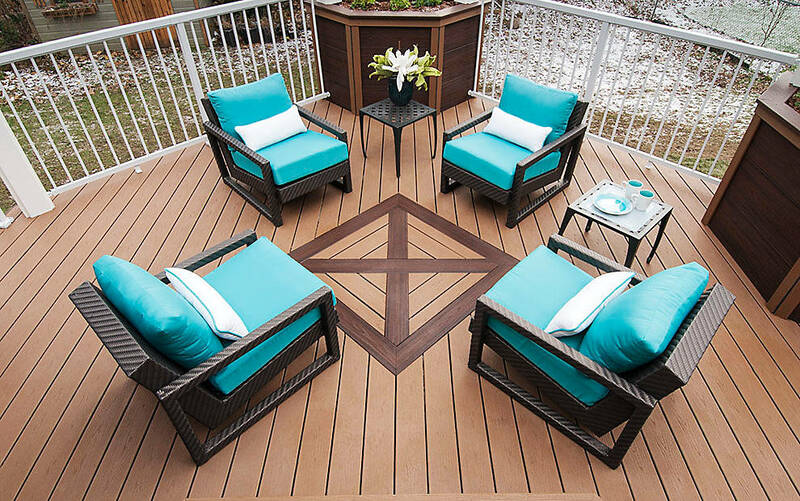 Three high-performance decking lines with lots of color and finish options. Three coordinating railing lines with all kinds of style, color and material options. Elevations® steel deck framing when you’re ready to build a strong, straight, safe, smart deck from the bottom up. Click here for more information on deck resurfacing, including before and after photos, videos and steps for how to resurface your deck. 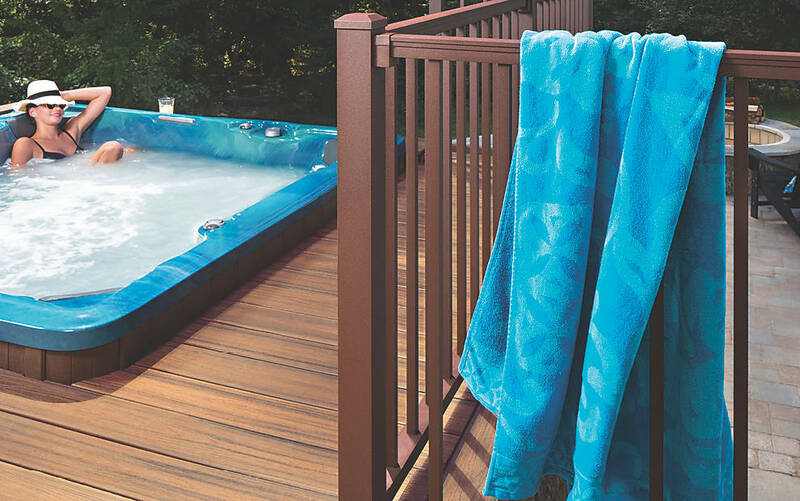 If your deck is a DIY project, you may want to explore Trex’s decking & railing installation guide. 2. When do you want the deck finished? If you want to enjoy your deck in the summer, you should finalize your planning well before the spring thaw. It would also be wise to lock-in an agreement with a contractor by this time (or have tools, supplies and equipment at the ready if you plan to do-it-yourself). Also, don’t wait until the last minute to think about land-clearing, codes, and permits. If possible, attain needed permits, homeowner’s association approval, research local codes, and finish any preparatory land clearing in advance of the build. Remember to give yourself plenty of time to plan and build! The planning and design phase may take several weeks alone, depending on the size of the deck project and the challenges that come with your property. Then it can take over a month to finish a deck, depending on size and complexity. Always leave time for the unexpected setback. 3. What are the pros and cons of your backyard or property? Your backyard or property often dictates many aspects of the deck layout and elevation. For example, a high, floating platform deck will showcase the views in your surrounding landscape. They have long stairs and rails, and can provide a sheltered area below for rainy days. Low decks, on the other hand, may work better for densely populated areas, with vertical screens installed for privacy and noise reduction. They may not require guard rails at all, but the screens will need to be braced and anchored to the deck structure to withstand wind. If your yard is sloped, a multilevel deck offers plenty of square footage without the extra-tall posts that require bracing. For very sunny spaces, a pergola will screen some of the harshest rays so that you can still enjoy the sunlight. For a property with a lot of trees, you can build around the trunks for a treehouse effect. Remember: A good design will showcase the advantages of your site whereas a poor design will bring attention to its flaws. 4. What permits will I need to build? There are rules to dictate how and where you build your deck, including structural requirements and size limits, depending on local regulations. While zoning and building permits are generally required for new and expanded decks, building permits are also required for reconstruction or repair of deck construction. Find out what permits you will need and how to stay within local code requirements. Don’t forget that these regulations are meant to keep your structure safe and in full compliance, so that you can relax and enjoy your new deck for years to come. 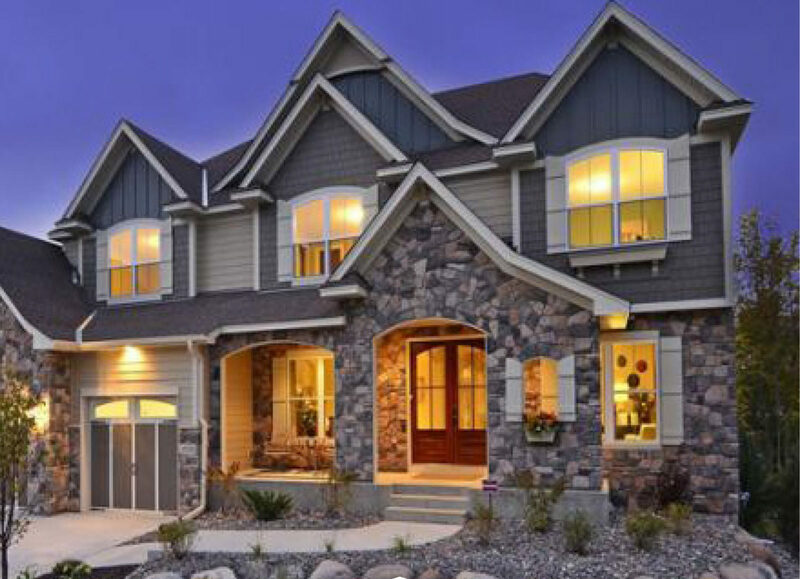 If you are part of a homeowner’s association, you may have to follow additional guidelines on materials, finishes and other aesthetic choices. This is a step that you don’t want to skip when planning your deck project! 5. How big should I build? It might be tempting to think about going large when planning your new deck, just be sure your deck is structurally sound for the kinds of activities that will be taking place there. 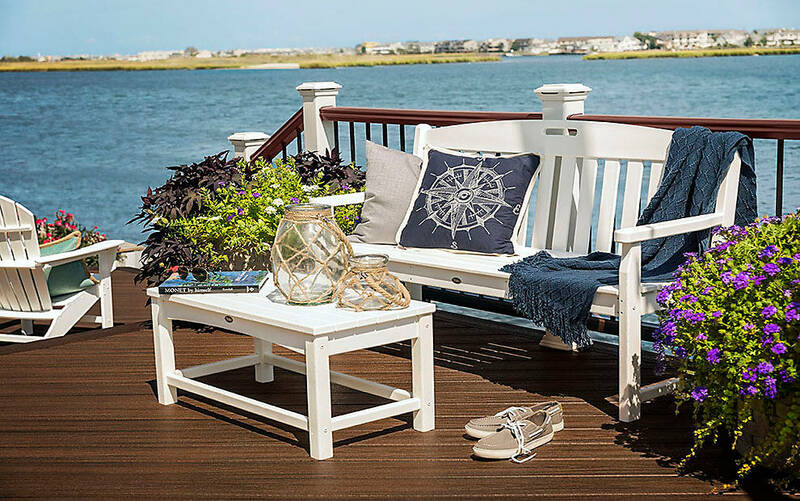 According to This Old House, “decks are designed to support 60 pounds per square foot, which includes the weight of the deck (called the “dead load”) as well as people and furniture (the “live load”). If you host huge bashes, or want to add a hot tub or heavy planters, you’ll need to beef up your deck’s supporting structure for safety’s sake.” And, keep in mind that large decks attached to small houses are awkward and less visually appealing. A deck shouldn’t be built larger than 20% the square footage of the house it is attached to. No single section of the deck should be larger than the largest room in the house. 6. How will you be using your deck? 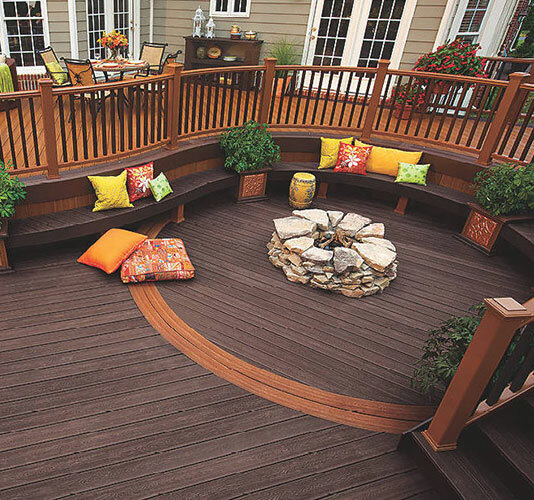 As you plan the layout of your beautiful new deck, don’t forget to think of all the ways your deck will be used. Will your family use this outdoor space for cooking, partying and entertaining, or will you use it primarily for sitting in the sun relaxing? Will you need to seat 20 people or more? Will you want a hot tub or jacuzzi built into the deck? Will it be used at night as well as during the daytime? This is the time to imagine all the possibilities. Remember, you don’t have to choose just one function for your deck! It’s possible to have different areas or zones designated for different activities. For example, the area nearest to the house entry is a common place to designate as a cooking area. This reduces the distance you’ll have to carry food items back and forth from inside. You can also plan a sunken seating area away from the food prep station that can accommodate a large crowd. Then you can add a lounging area with reclining chairs. If you plan a multi-level deck, you can divide your spaces even further. Even if it looks great on paper, it’s hard to get a true sense of the size and layout of your deck until you try it out for yourself. You can also arrange furniture inside the outline to determine the traffic flow and make sure there’s clearance for everything you want to include. 8. Material & Style: Express yourself with Trex! Composite deck boards made of 75 percent wood fiber and 25 percent polypropylene are surprisingly wood-like in looks and performance. You can paint, stain, or nail through them, and they can even withstand ground contact without rotting or cracking. Trex is the world’s #1 decking brand and the inventor of wood-alternative composite decking. 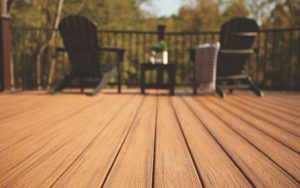 Their composite decking is a great choice for low-maintenance, fade and stain resistant decking that’s also eco-friendly. And they come in a wide range of colors, styles and options to match any budget. 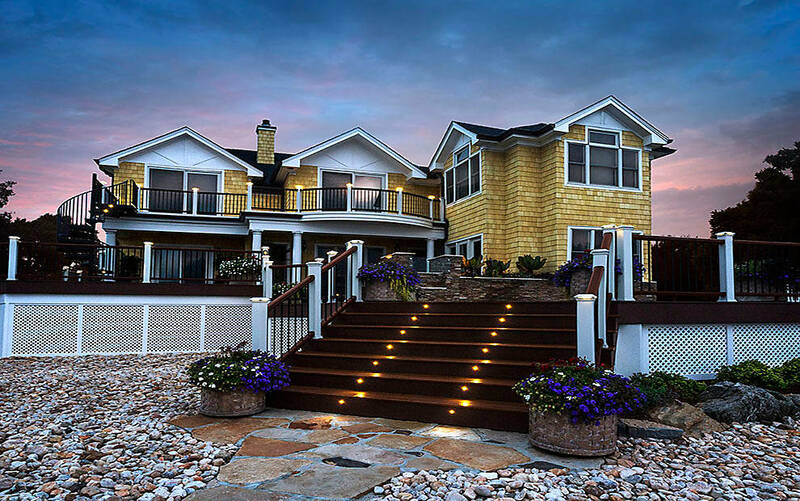 Coastal – A coastal style is a good choice for a deck overlooking the sea. Use gray composite decking with white railings to blend into the landscape. Glass and cable rails can work wonders for opening up views. Low maintenance materials can withstand the extreme weathering of storms for years to come. Colonial – Use elements of classical architecture and symmetrical design. Consider using white, moulded railings with decorative post caps. Built in planter boxes, benches, and pergolas can be used as accent features. Traditional – A cottage style embraces decoration. Octagons and chamfered corners help soften sharp corners. Trim moldings and routered rail caps offer a timeless charm. Choose decorative post caps and balusters. Trex’s powerful online tool allows you to design your own deck and customize it with different Trex materials, colors and accessories to create the outdoor living space that meets your particular needs. To help you start your project, Trex has put together three, ready-to-go outdoor deck designs. Whether you’re building on the ground or off a second floor, they provide everything you need to figure out the size, shape and look of your deck. Once you have the structure built, there are plenty of ways to customize it to fit your needs and design aesthetics. Here are 16 ideas to make your deck more beautiful and functional from ThisOldHouse.com. Not sure how to layout or design your new deck? Talk to the experts at Kelly Fradet and we’ll help you determine what’s the best option for you, your home and your lifestyle!